Calling all Raspberry Pi enthusiasts! 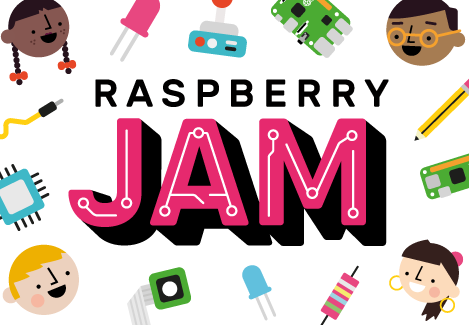 Join us for Minnesota's 2nd annual Raspberry Jam immediately following the MNCodes Summit from 4-6pm! A Raspberry Jam is the pun-tastic name given to a meetup of people interested in making things with a Raspberry Pi (https://www.raspberrypi.org/) computer. A Raspberry Jam is a place to learn, share and socialize in a hands-on digital making community focused on Raspberry Pi. All experience levels welcome - we’ll have show-and-tell, guided exploration for beginners and a chance to meet and learn from like-minded people in a friendly environment! Registration includes: light refreshments and Raspberry Pi swag! Interested in sharing a Raspberry Pi project during our Show & Tell? ​Click here to let us know! Click here to view / contribute to our collaborative Raspberry Jam resource page! Interested in sponsoring this event? Click here to contact us!